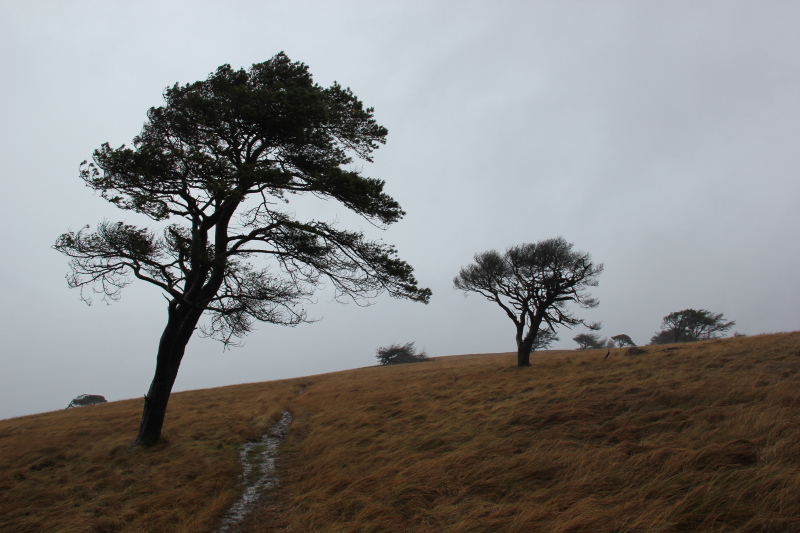 The mountain weather forecast for today was pretty bad – persistent rain and gusts of wind to 85mph. The forecast turned out to be correct - it was a thoroughly awful day . 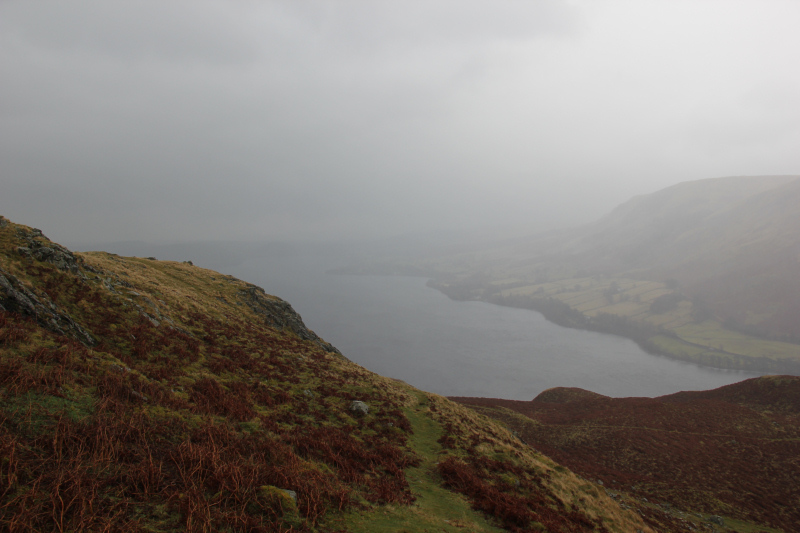 There was no way that I was venturing high, however, at the same time I didn’t want to completely write-off a hillwalking day in the Lakes. 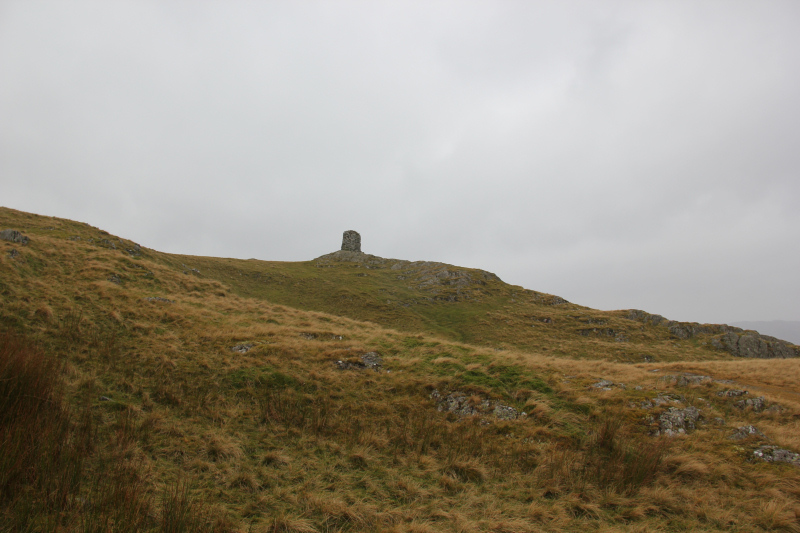 On checking the maps, for something to ascend, I located three easy Sub2000ft Marilyns which also happen to be Wainwrights. 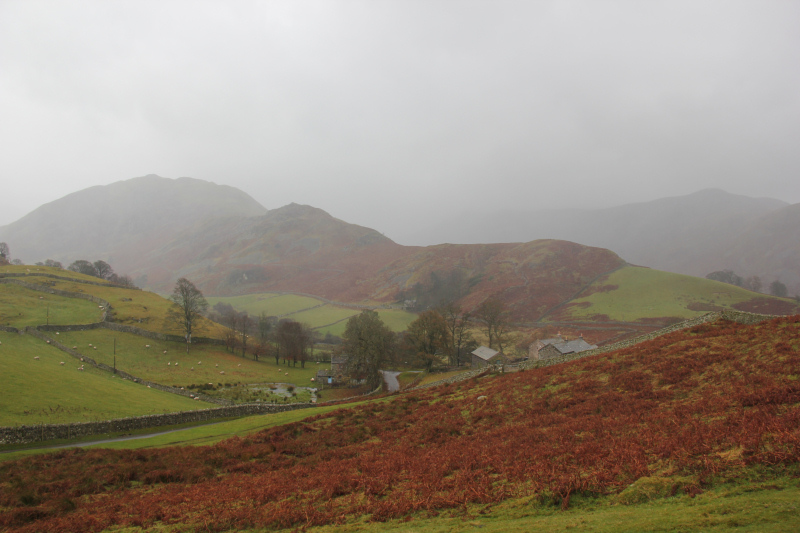 I set off in the car towards Martindale for an ascent of Hallin Fell. The final section of road zig-zagging up to the parking area opposite the Church of St. Peter was “interesting”. There is no way I would drive up or down that road when icy. 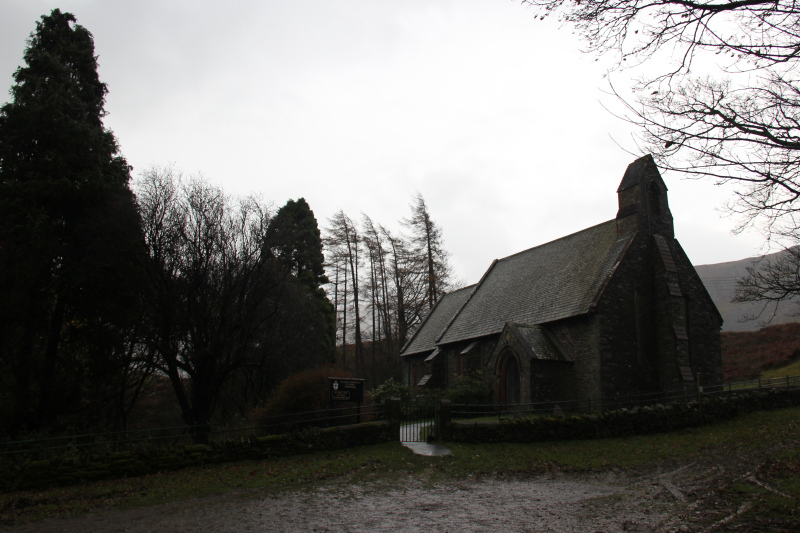 There is room for several cars opposite the church. After a quick look at the church, I set off up the grassy track. The photos don’t really give an idea of just how bad the weather was. It was seriously wet and windy out there today. 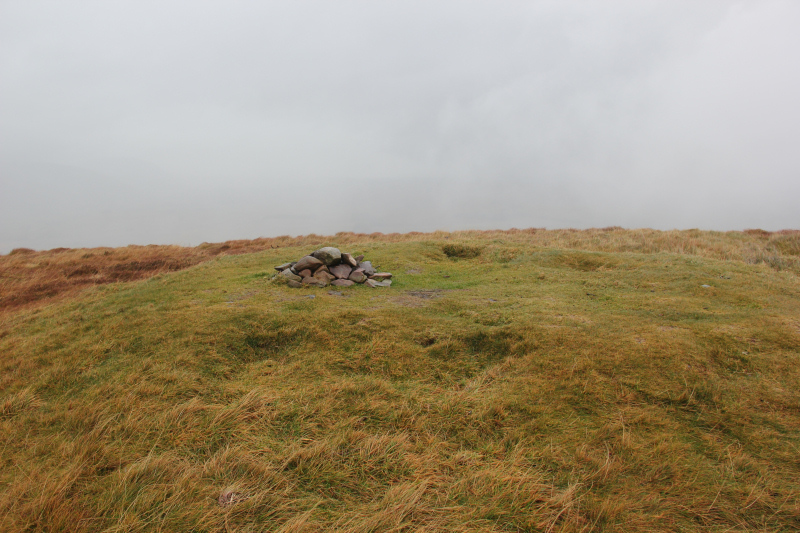 Despite the summit only being 388m high, I was almost blown off my feet as I approached the cairn a short distance from the obelisk summit. I actually crawled the final few metres to reach the cairn. It was just as windy at the obelisk but at least the obelisk provided some brief respite from the wind, while I hid behind it. 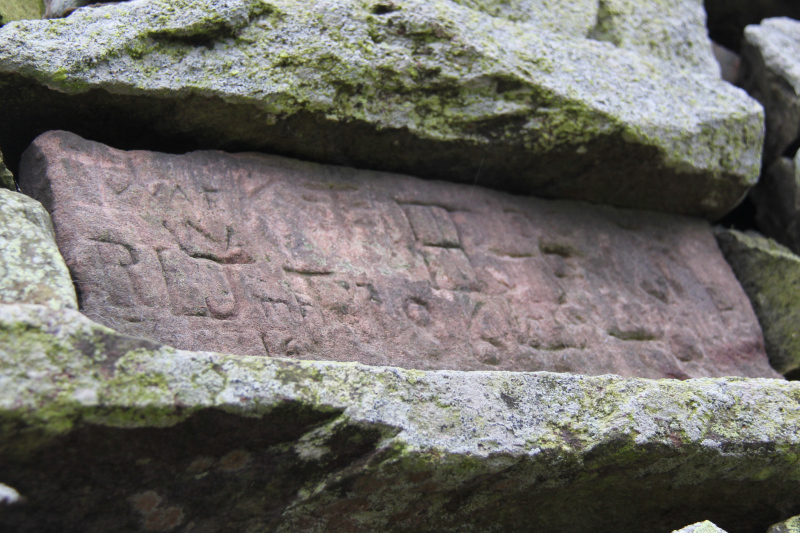 I noticed an inscribed stone on the obelisk but couldn’t make out why it was there. Today was not a day for hanging around, so I quickly made my way back down the hill via a different route. 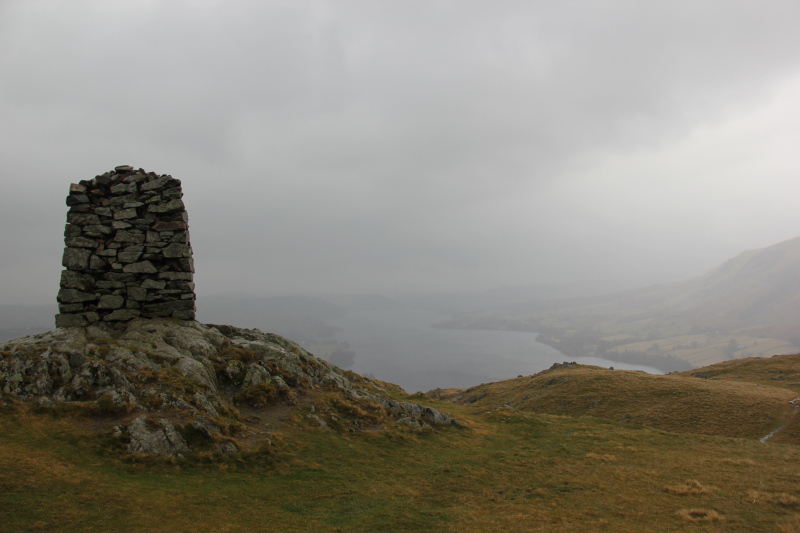 It was disappointing not to get views from Hallin Fell. I reckon this would be a superb viewpoint on a good day. 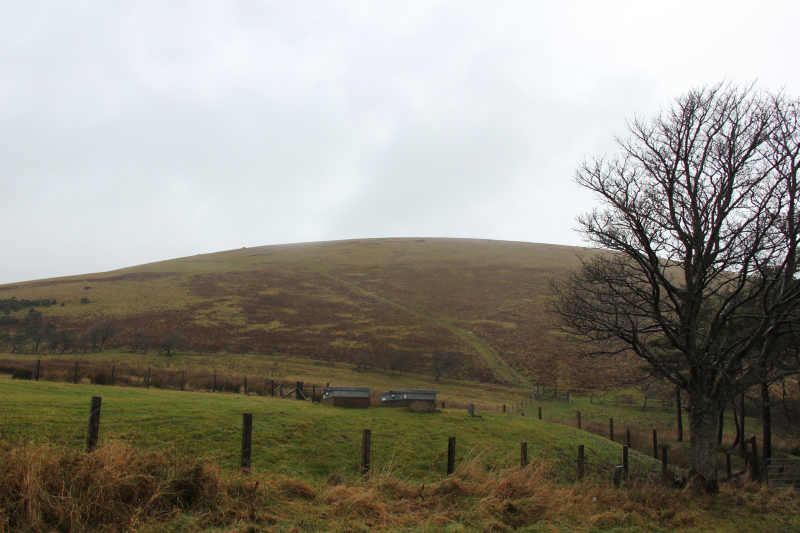 Of the hills that I could see, I was particularly impressed with what I think is Beda Head. It is a Wainwright. 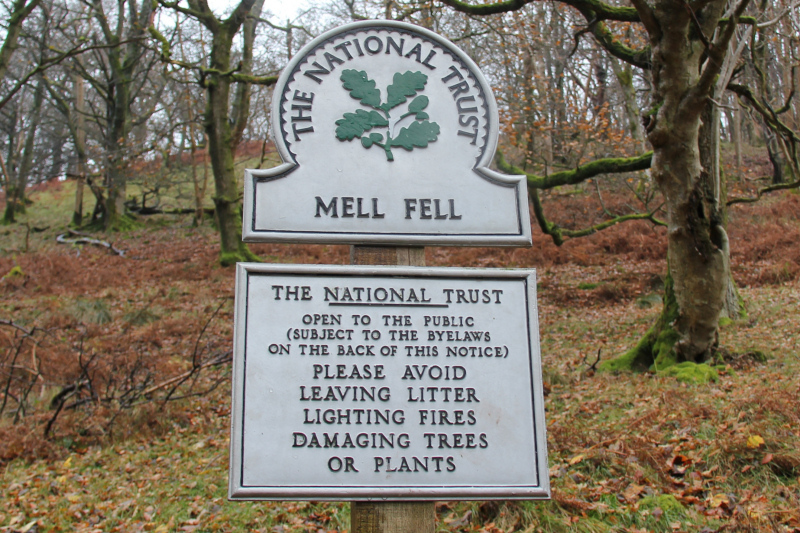 On getting back to the car, I put the heating on full to try to dry the camera out and then drove round to the starting point for Great Mell Fell. 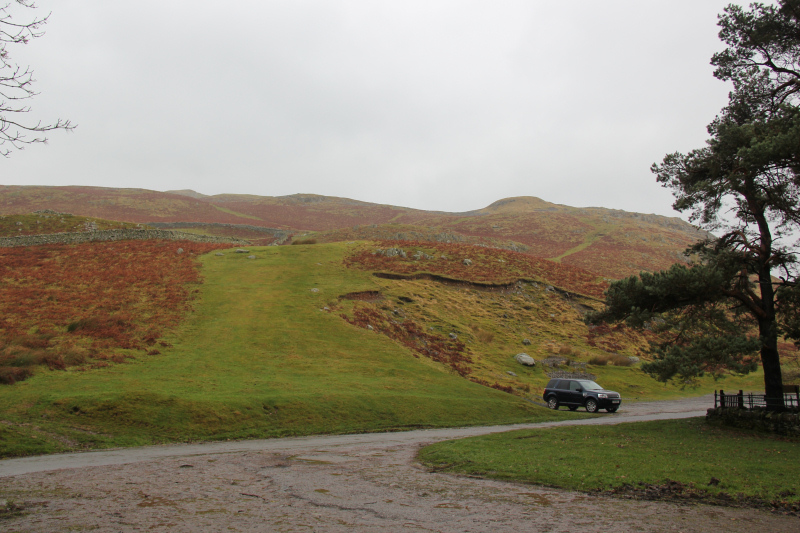 On arriving at Great Mell Fell there was already a car parked at the start of the track. 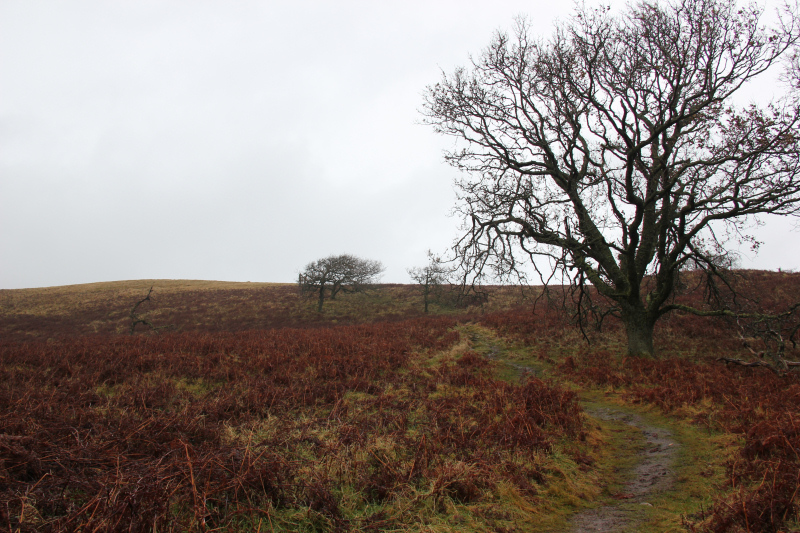 A short distance into the walk, I met two other walkers on their way back. Good to know that there are other mad buggers out there . On reaching the National Trust sign don’t go through the gate next to it, as this just seems to skirt the lower section of the hill. 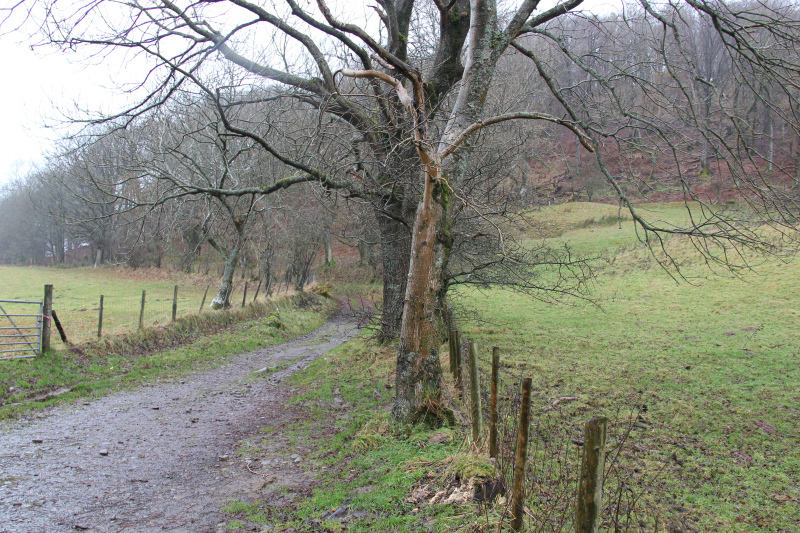 Instead continue along the main track until you see a stile to the right of the track. 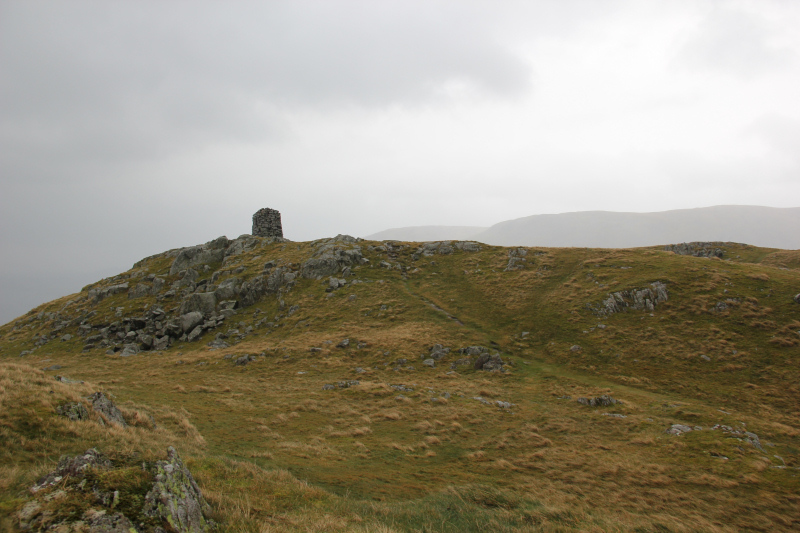 The two walkers described the rain at the summit as ‘feeling like lots of needles going into your face’. They were correct! 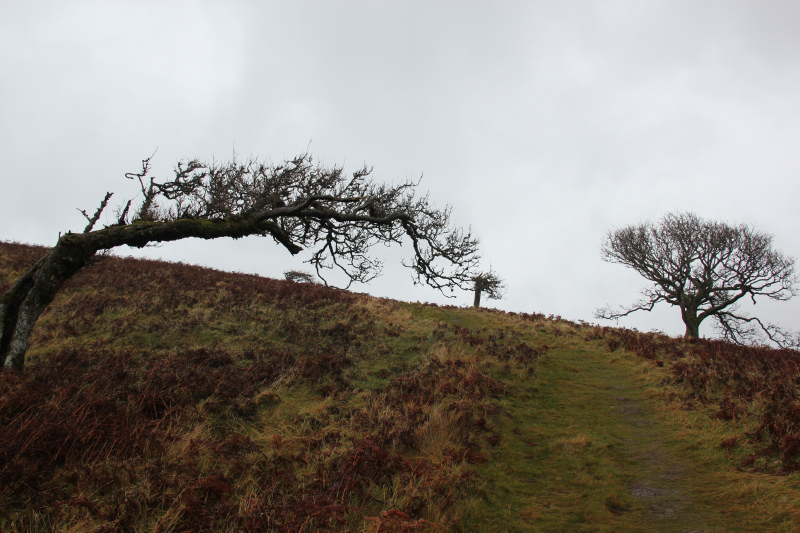 Despite the weather, what I did like about this hill was the trees. Lots of beech in the lower section with oak higher up. Getting to the summit was just a case of head down and push on. No views from the summit, so again it was just a case of touch the cairn and return to the car, this time via the same route. 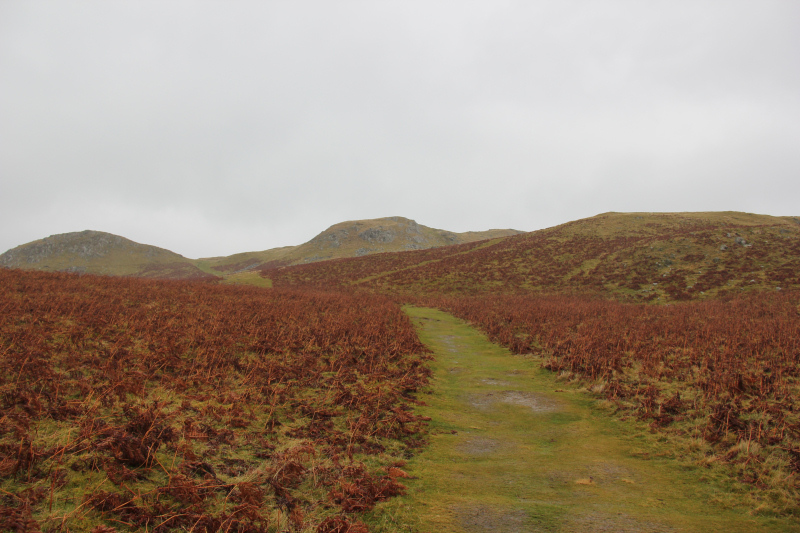 Had the weather been a bit less inclement, I might have been tempted to leave the car where it was and walk along the road to ascend Little Mell Fell. 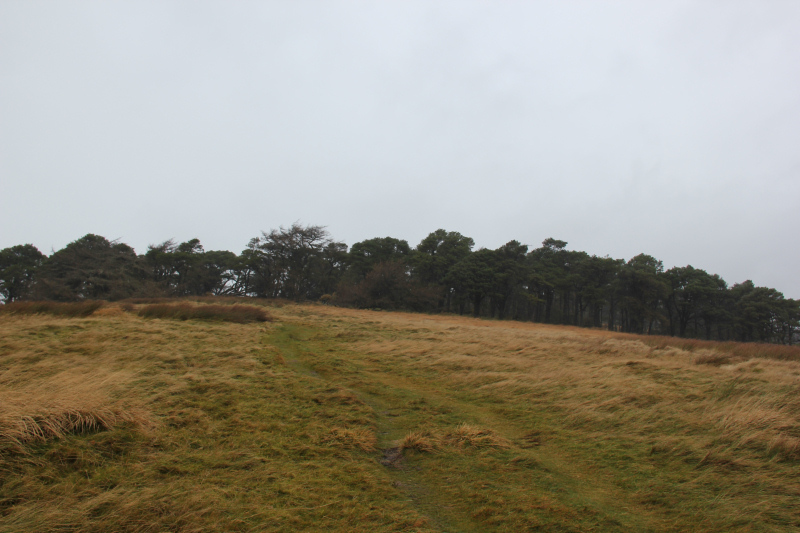 Instead, I decided to drive the car to the high-point of the road and see if a) there was parking and b) there was an access track up the hill. 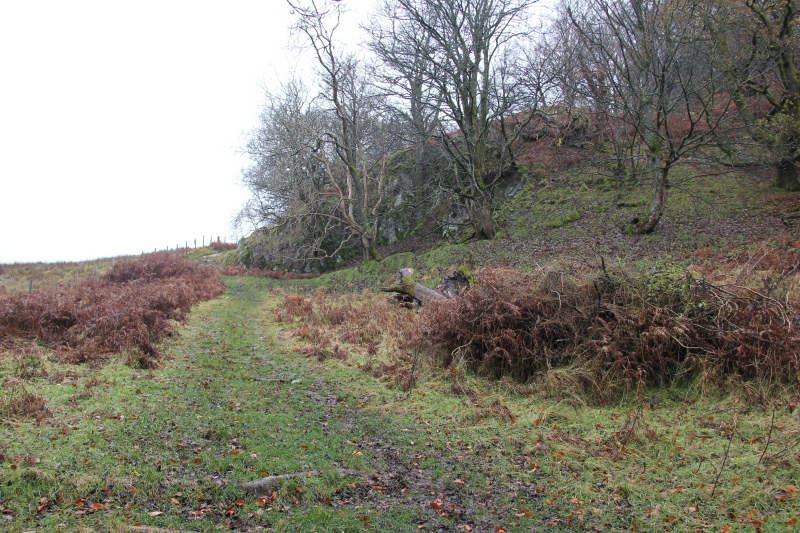 I was pleased to find that there was a parking area and an access track up the hill . A short distance in from the road there is a path junction. 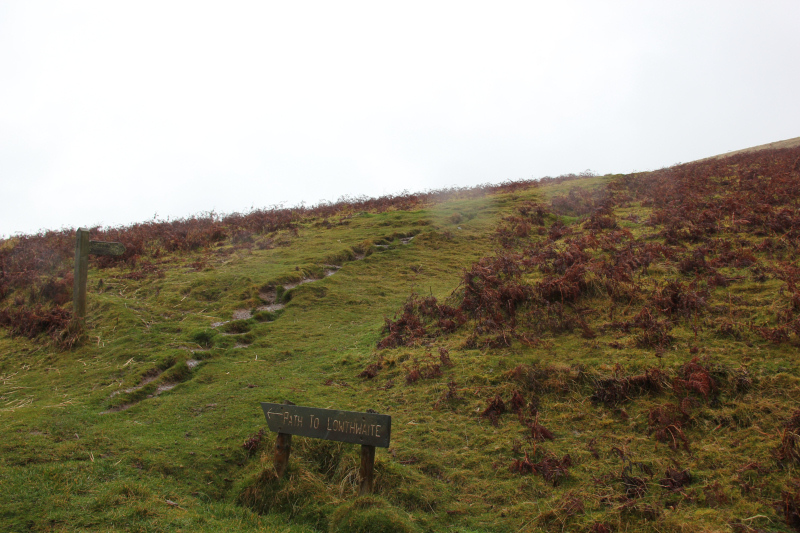 I took the sign marked “Permitted Path” up the hill. 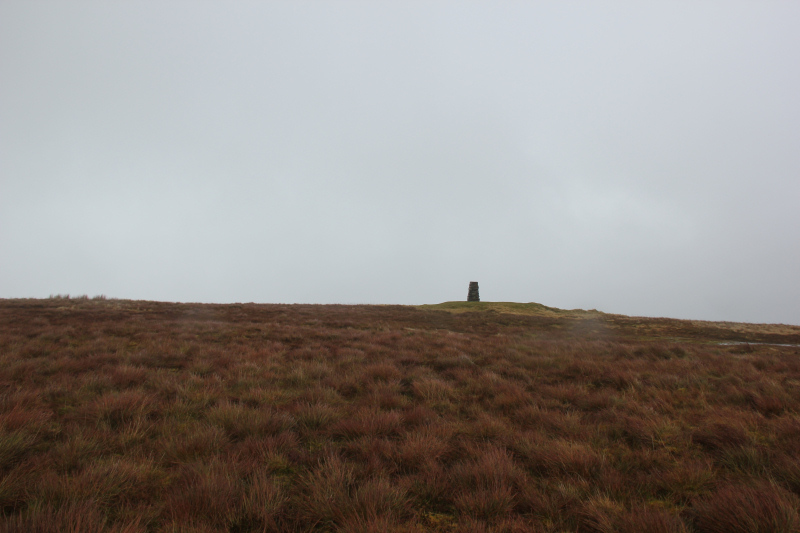 On reaching the summit area, I thought a bit of featureless ground seemed higher than the trig point. 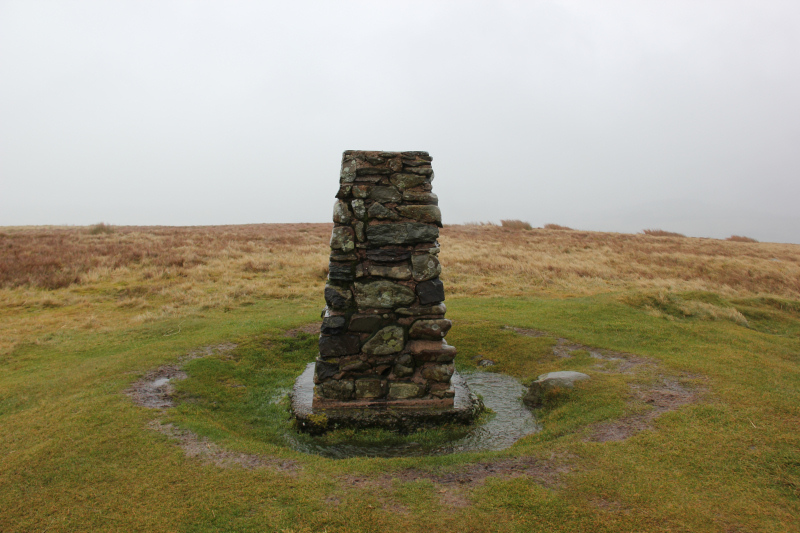 I therefore visited the featureless ground and the trig point before returning to the car via the same route. On getting back to the car, I decided that I had had enough for the day. Definitely not one of my favourite days walking but perhaps worth it for three new Marilyns.